Learn how a kid's water pistol or a correction collar can be a barking deterrent . There are many other methods to stop dogs barking, but these are more gentle. I certainly recommend you try them first...read on to learn more. A Kid's Water Pistol: A Barking Deterrent? A child's water pistol or a simple spray bottle, makes a great barking deterrent. filled with water (some owners swear by a well-diluted mixture of water and lemon juice, or water and vinegar) directed into your dog's mouth each time he barks will help you to teach your pet to stop nuisance barking. If used properly and timely, a spray of water can stop dogs barking in their tracks! Although this practice may sound cruel, it isn't, and more importantly, it won't hurt your dog. The spray isn't meant to be a punishment, it's a barking deterrent; it's meant to startle your dog into silence, literally interrupting his barking. Each time your dog barks use the spray. Squirt a quick spray into his mouth or onto his muzzle and say the words, 'Be Quiet', in a firm but controlled voice. When your dog stops barking, wait a few seconds and praise him with the words, 'Good quiet boy', and give him a treat. If he begins barking again, re-use the spray immediately. Take great care not to spray directly into his eyes, especially if you're using vinegar or lemon juice. Trigger the spray the second your dog barks. This will help him to associate the unpleasant sensation, and/or taste of lemon juice or vinegar, with his barking. It's basically 'cause and effect'. If your garden is large, and you can't reach him in time to stop him, don't be tempted to use the spray after he's stopped barking because he probably won't link the two. He won't understand why you're unhappy with him and he won't learn anything. One of the disadvantages of using this type of deterrent is that (as mentioned above) is that you may not always be able to reach your pet in time to give the correction. Also, if you're not around to hear his barking, you can't give the correction. This will create an inconsistency in the training and will hinder any progress. As an alternative, you could consider fitting your dog with a correction collar which gives an automatic correction. You can easily stop dogs from barking by using a barking correction collar and the good thing is you don't need to be around for it to work. It's a device which you either fit onto your Cocker Spaniel's collar or use in addition to his collar. Depending on which type of correction device you buy, it can emit either a noise, a dose of citronella (lemon juice), or a mild electric shock, each time your Cocker barks. 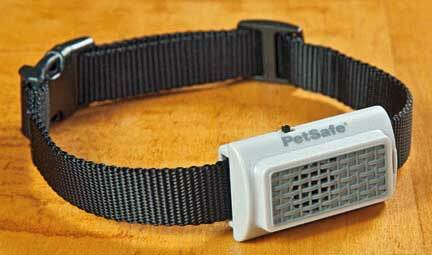 The device is triggered when a small microphone in the collar picks up the sound of your dog's barking. It can also be triggered by a remote control handset which you can activate each time your dog begins his excessive barking. The momentary 'shock' received from a correction device is usually enough to stop your pet in his tracks. It works by startling your dog which literally interrupts their flow of barking. Although your dog will find the spray of citronella unpleasant, it won't harm him. One of the benefits of using a automatic spray collar is that the correction is given immediately, which means your Cocker Spaniel will soon begin to associate the correction with his barking. Once he's made the association between the (unpleasant) correction and his barking, it won't be long before he stops his vocal ways. You will then be able to remove the collar completely. Although the current used in these devices is minimal and safe, I don't particularly recommend you use the this method of correction. I feel it's more of a punishment for barking, rather than a means of distraction, and that it's negative training. I think there are better ways to stop a dog barking. 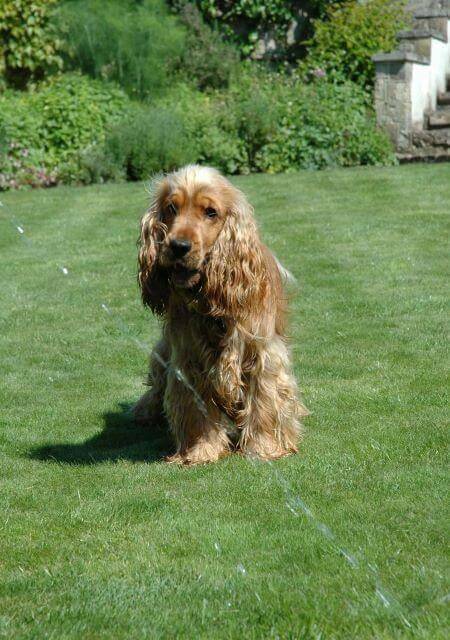 It's probably better to use the citronella spray as it's much kinder than giving your Cocker Spaniel an electric shock, even if it is only a mild one! If you're using the hand spray, be consistent. Use it each time he barks and remember to always use the same command to avoid confusion and to help strengthen his training. Never call your Cocker to you to spray or punish him. If you do that, he'll think he's being punished for coming to you and that will only confuse him and may make him think twice the next time you use the re-call command. If your dog or puppy is sensitive and you think he may be frightened of the correction collar or spray bottle, please find an alternative barking deterrent to interrupt his vocal outburst. For example, throw him a ball, or his favorite toy to help move his train of thought away from whatever was causing him to bark in the first place. Don't forget to reward your Cocker Spaniel for being quiet. Give him lots of gentle praise when he's lying or playing quietly and he'll soon realize that quiet behavior is best for everyone. His vocal outbursts will soon become a thing of the past and you'll no longer need to use a barking deterrent!